So, I've come to realise after copious foundation trials that BB Creams are more suited to my skin type and its needs. 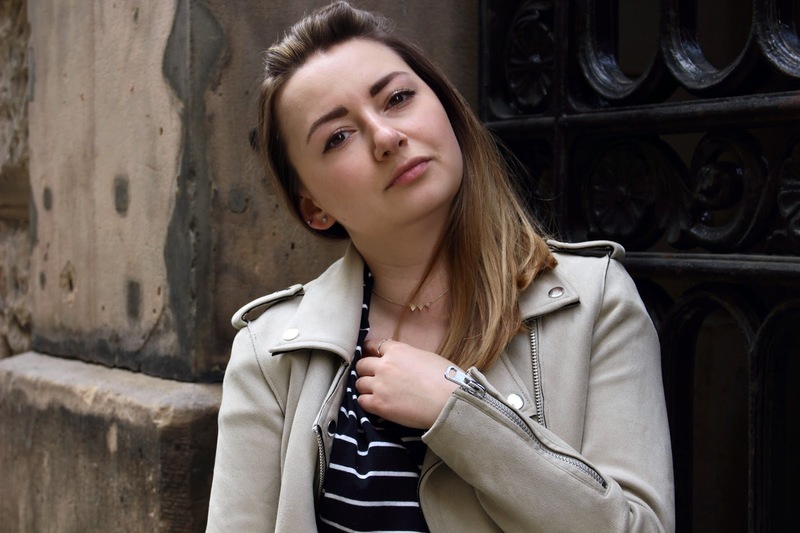 As I've mentioned on here before, I have combination skin with a tendency to be both oily and feature the odd dry patch and therefore, the wondrous BB creams tend to manage both of these problems whilst giving me that 'glow from within'. They're perfect for all seasons, temperatures and occasions and most of all, convenient. For me, my life would be that little more stressful without such creams in my life. Dr. Jart+ Waterfuse Beauty Balm, SPF 25 is my favourite out of my collection due to its richer, more advanced formula with claims to keep oil at bay prevent sweat streaking, and I feel that it delivers (not that I tend to be all that sweaty). I really love the finish that it gives - really dewy and covers imperfections well whilst highlighting all the key points. When buffed into the skin, (I prefer to use a brush) this stuff really shows its magic and gives you the smoothest, lightest feeling base, giving slightly more coverage than the other two. In terms of colour, it has a slightly more yellow undertone, which is perfect for me as the thing with BB creams is that they are all exceptionally pink! The only thing is, I'm not sure about its longevity - it's not terrible, but I have noticed that I am occasionally reaching for the powder throughout the day. Really buffing into the skin and set lightly with some loose powder does help, though. Overall, I'd highly recommend, especially as it's often on offer in Boots. 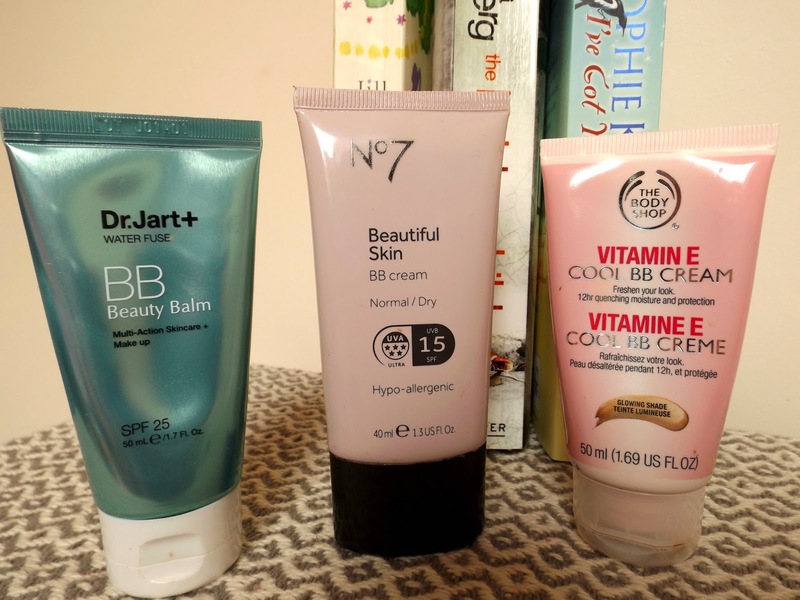 No7 Beautiful Skin BB Cream, SPF 15, again is a lovely product and gives me the coverage I need whilst also giving me that slightly tanned, even complexion effect without being obvious. I always powder after application and it manages to stay put. It is more pinky toned but due to its light yet effective coverage, I can work with it and it adds life to my pastey face. It works just as well with being applied with fingers or brush so it's perfect for those who just don't have the time in the mornings. Little bit of added concealer here and there and I'm good to go. Recommend! The Body Shop's Vitamin E BB Cream, my least favourite of the three due to the formula slightly separating upon application making rubbing it in a bit of a longer process (I'd recommend a brush for this one), and it does take a while for it to set into my skin. This said, it still is a lovely product and does give a luminosity and colour to the skin, but it's one for good skin days. Let's just say it's not the first base I reach for, but I won't begrudge using it up as it is particularly hydrating.